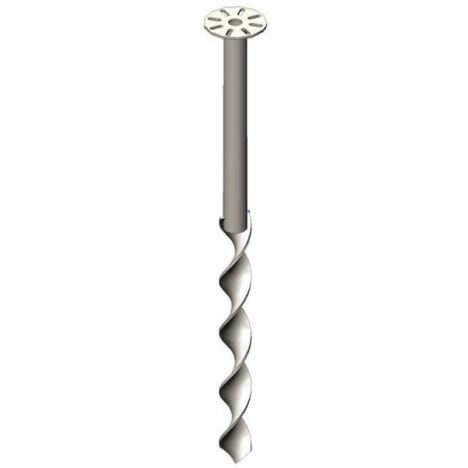 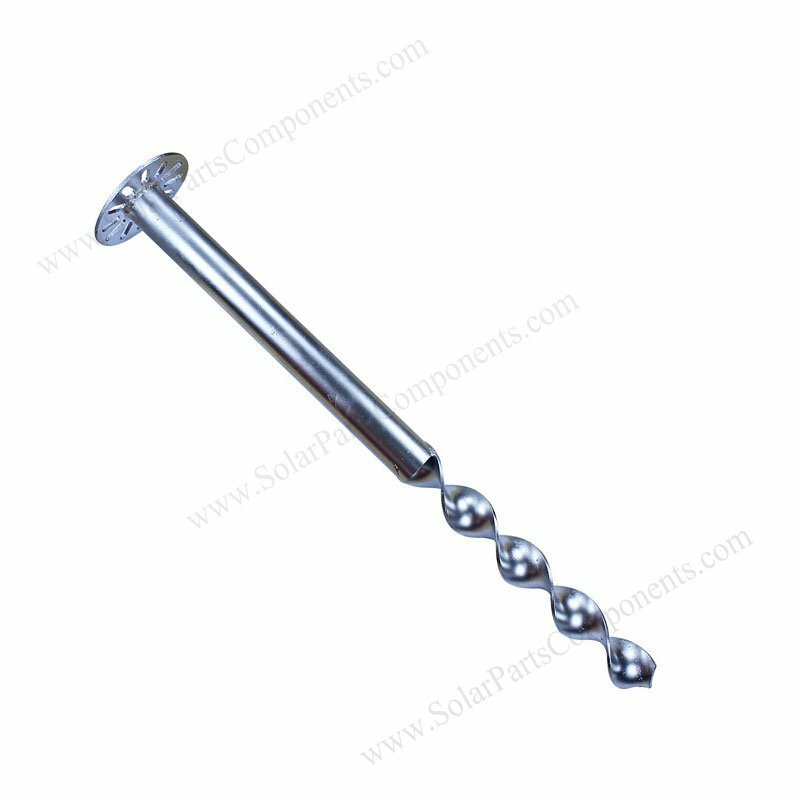 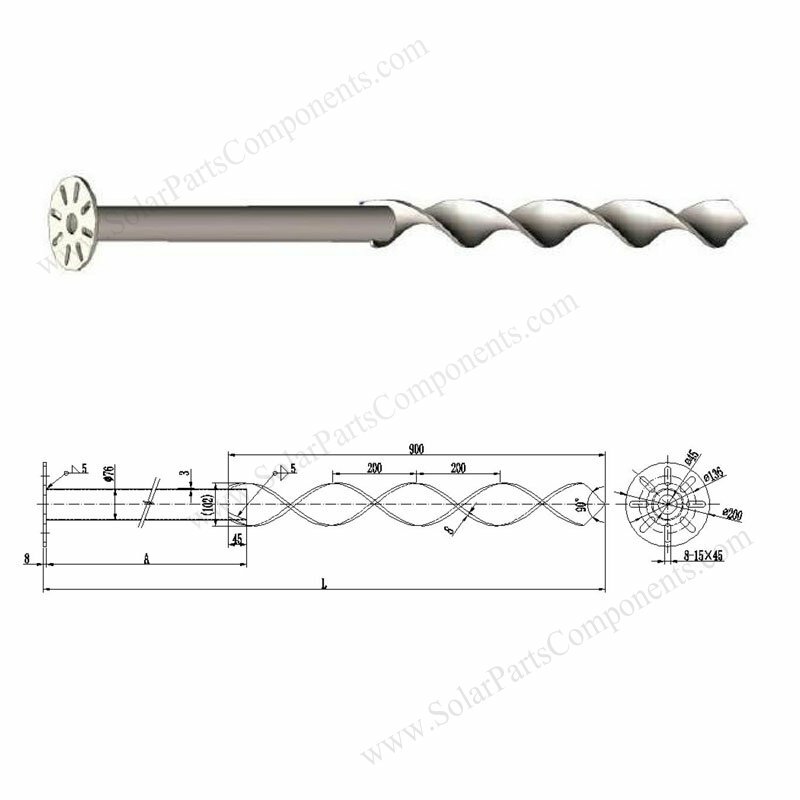 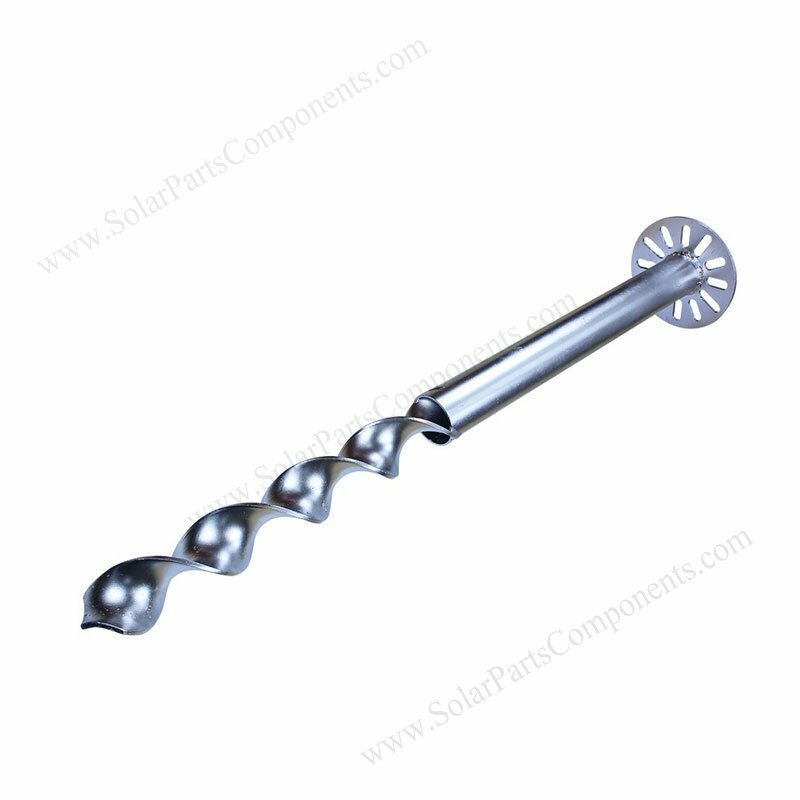 This hot dipped galvanized carbon steel ground screws are specially design for solar rackings . 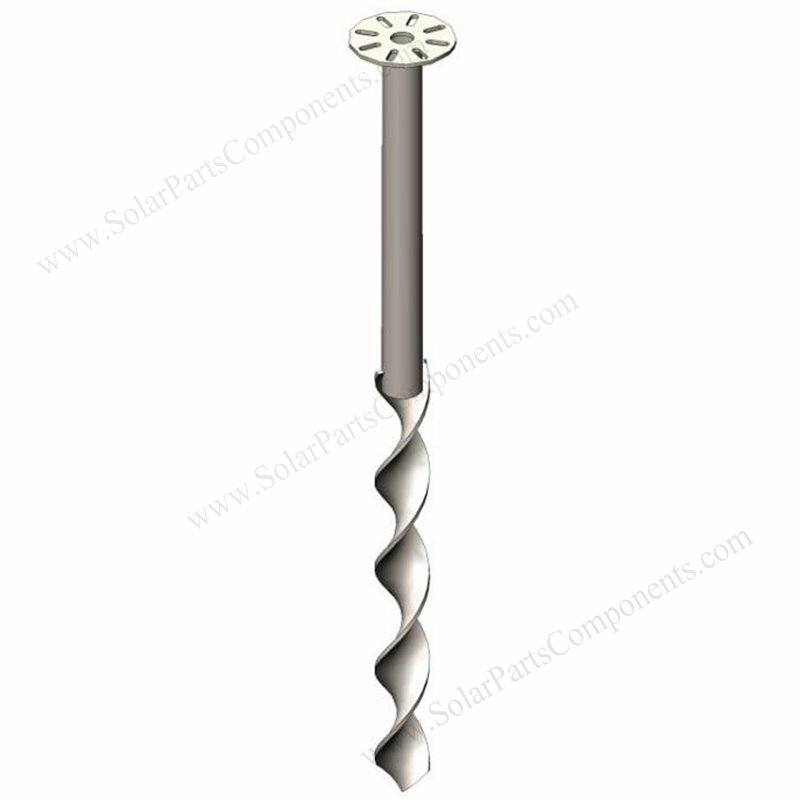 Our solar racking ground screws model SPC-solar-screws-A40 can offer strong supports base on wind load and snow load project required . 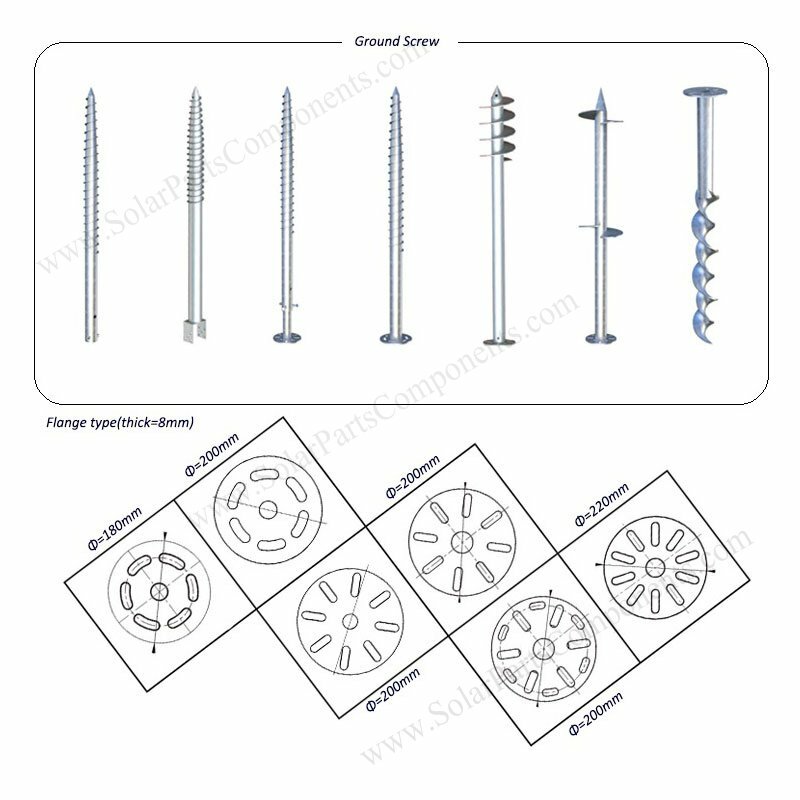 – Wall thickness is 3.0 mm in default, other customized like : 2.75mm, 2.5mm, 3.25mm, 3.5mm, 4mm … are available . 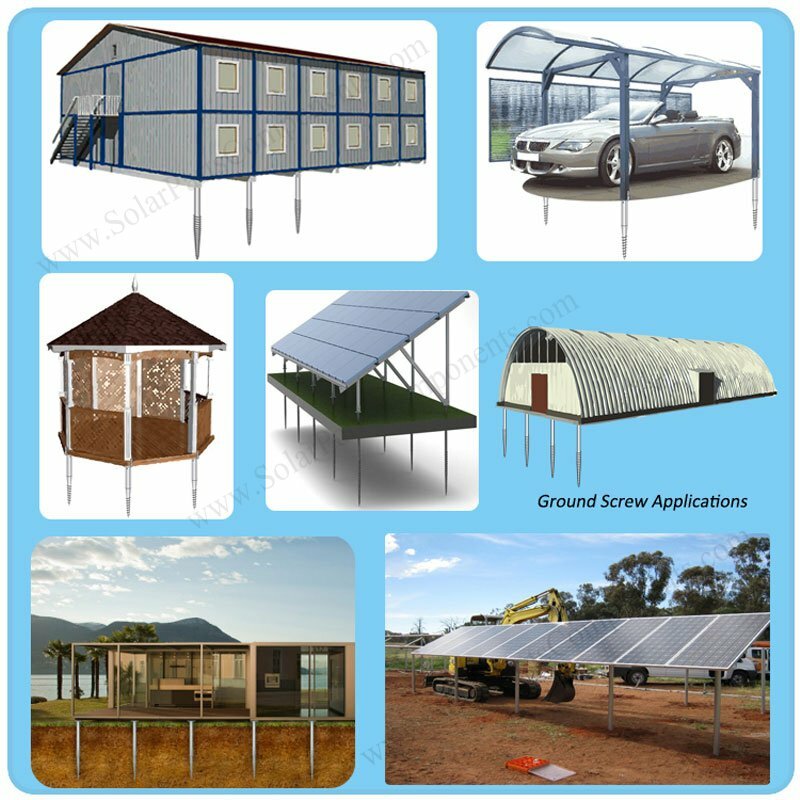 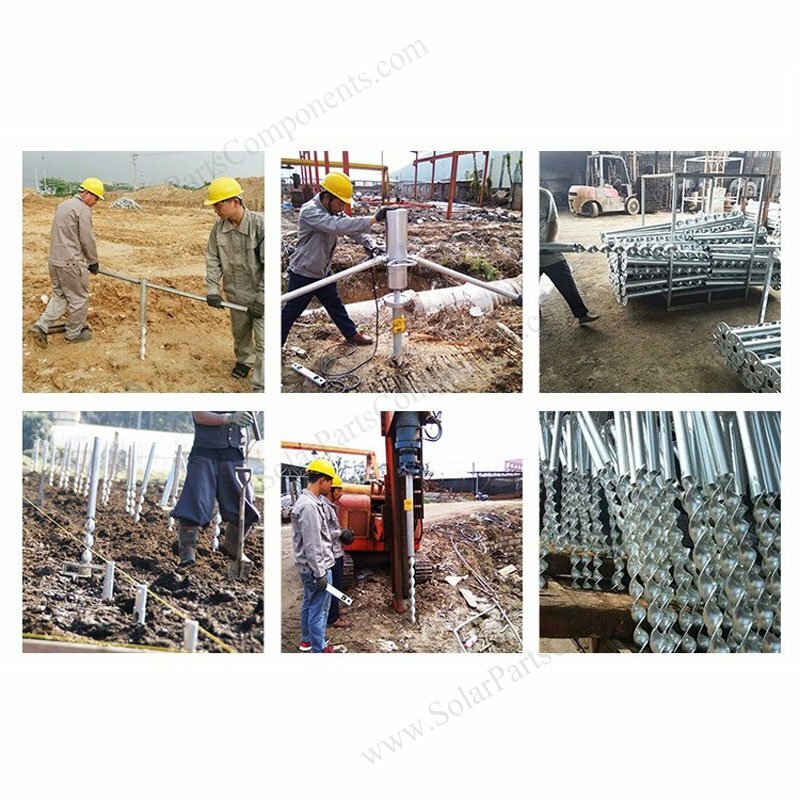 Application : Solar panel ground mounting, house foundation, fences, carport base, movable house and flag pole. 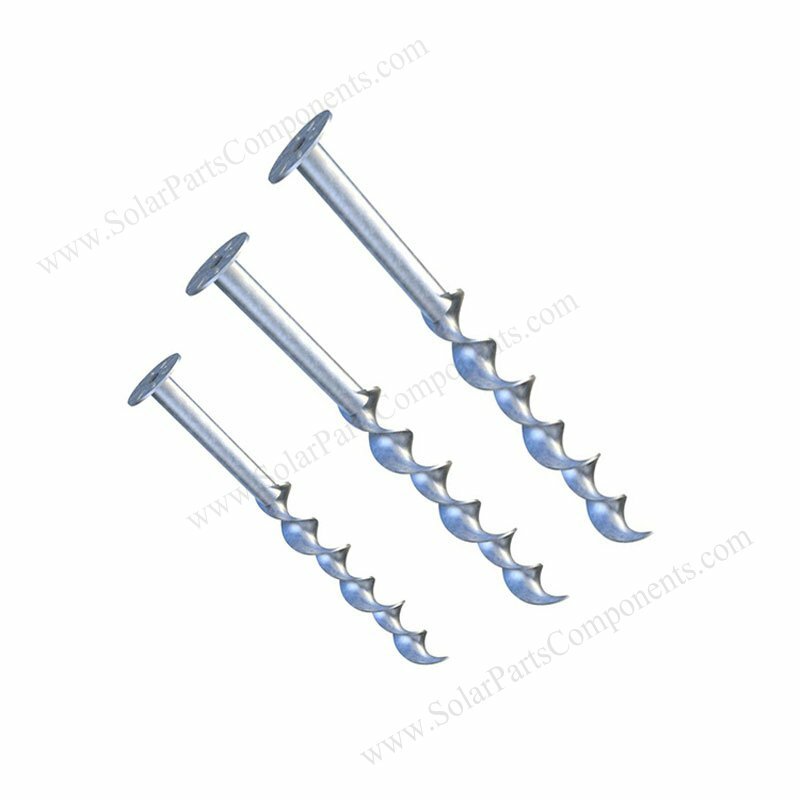 How to using this ground screws for solar racking ?